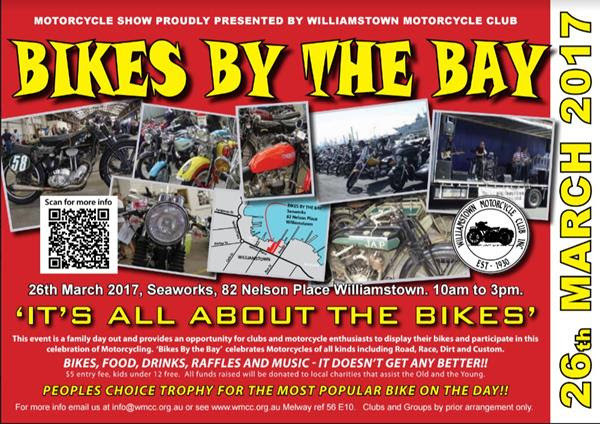 On 26 March 2017 the Williamstown Motorcycle Club will host the 20th Annual ‘BIKES BY THE BAY’ at Seaworks, 82 Nelson Place, Williamstown. 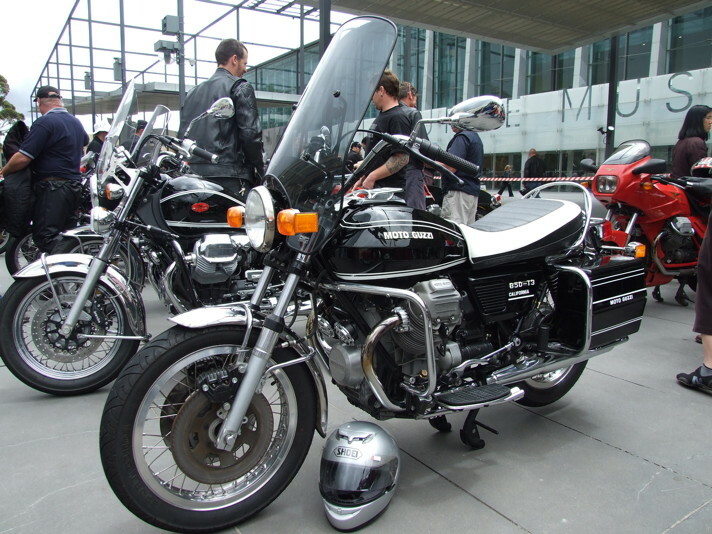 This event is a family day out and provides an opportunity for clubs and motorcycle enthusiasts to display their bikes and participate in this celebration of motorcycling. In 2017 ‘Bikes by the Bay’ is all about the bikes and we invite all bikes from road, race, dirt and custom to participate. In 2017 a ‘People’s Choice’ award will again be awarded to the most popular bike on the day. 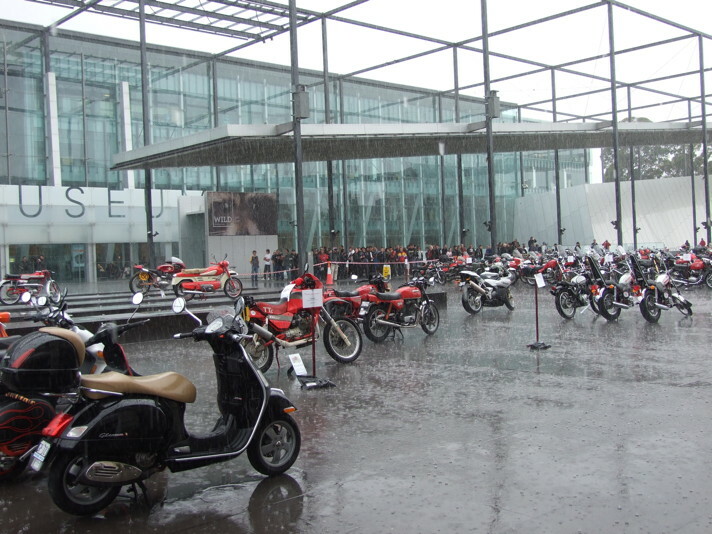 Bikes will need to be pre-registered to be eligible for the Peoples’ Choice award. Bikes by The Bay is a charity event where all funds raised on the day go to assist the very old and the very young in our community. Money raised in previous years was distributed to various local charities. There will be live bands on stage all day, food and coffee vans, and a major raffle draw on the day. Please invite all your members, friends and family to come and enjoy this great day out. This entry was posted in on hold events. Bookmark the permalink.